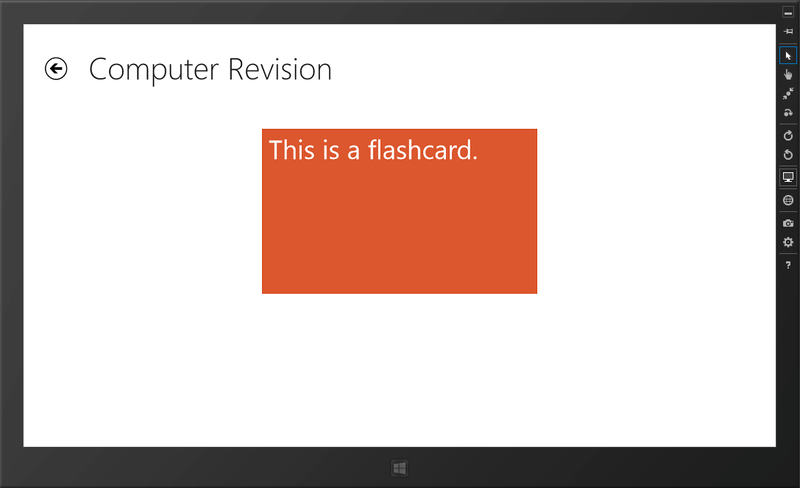 I have started work on Flashdeck Preview for the Windows 8 Store. Why the ‘Preview’ part of the name? Windows 8 is a new platform and I’m a new developer for it, so I have decided to make it clear in the name that this is an early concept of the app and at initial release will not be as full featured as the Windows Phone 7 version. Before Windows 8 general availability I hope to have at least the base features of the app working well and available in the Store. This would be the ability to add cards/decks, and then view, edit and delete them. 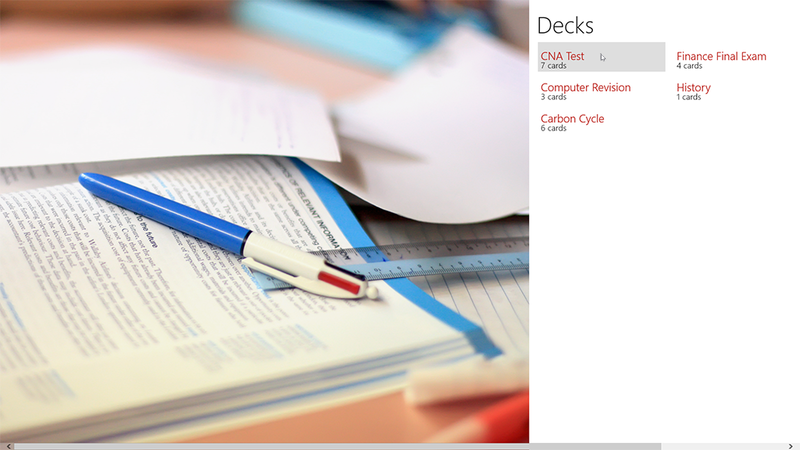 I also hope to have a settings page, and the ability to search through your decks via the Windows 8 charms bar. As you can see in the screenshots, its very work-in-progress. Microsoft have changed a lot of the APIs from Windows Phone 7 but I have still managed to use my code from that app as a guide for this one which has been helpful. It’s exciting to see Flashdeck on a new platform, look out for more updates in the future.